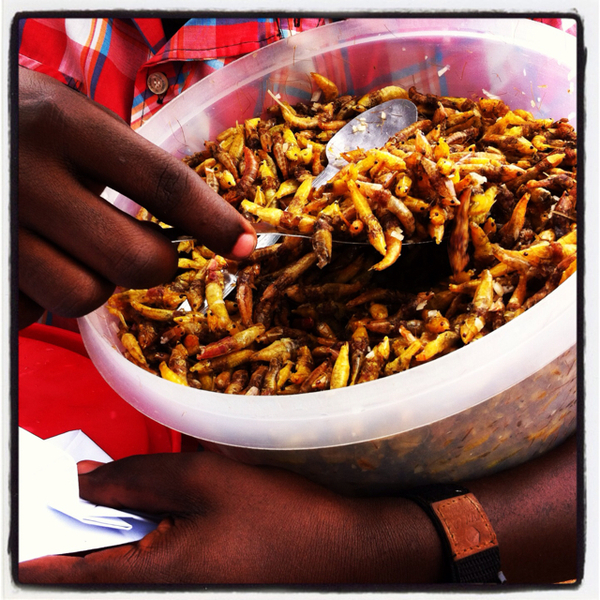 It’s Christmastime and I can’t help but think, with all of the food around me, about the time I spent in Africa. I was in Uganda for 10 days in 2012 (and Kenya for 5.5 months). The food there, and the way of eating in general, is much different from here. I have a couple of four-year-old nieces and one of them assumed the other day, that all food comes from the grocery store. She told me about her recent shopping trip with her mother to acquire all the fixings for Christmas Day. She told me how “we just got the food from the grocery store…” It got me to thinking about how the Ugandans went about gathering their food and cooking their meals where fried grasshoppers is a delicacy. 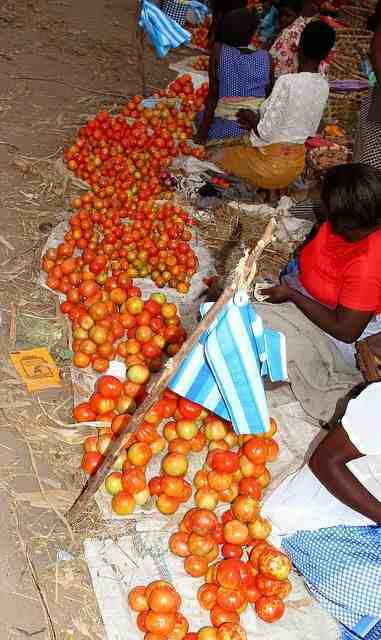 In Uganda, you don’t ‘just go to the grocery store’… at least not in rural Northern Uganda. You work hard, for long hours, to grow most of your food. The food you do not grow, usually flour, sugar and a few select other staples, is found on the blankets of locals at the weekly market held in the town square. It’s imported by car or pick-up truck to the small villages. The local dealers purchase the goods, mark them up slightly and sell them at what I used to call the “Blanket Markets”… where all goods sold are on small tables or on the ground on top of blankets. This is the way you’d go about gathering your food if you were of average income… there is also the very poor. They rummage through the garbage in the villages for their meals. This is very sad and I’ve been through a few slums, so I won’t dwell here. It’s just too awful for this time of year.